Thickness variation (TTV), and often wedge, is specified in optical windows and substrates. There are two methods for measuring TTV: Front-to-Back and Direct. TTV can only be calculated if the front and back measurements are performed without translating or moving the part. While this restriction poses challenges for traditional laser Fizeau systems, this is accomplished easily with SCI as the fringes are moved rather than the part. The back surface is measured, and a correction is applied for the index of refraction. The two measurements are added to report the TTV. An advantage of Front-to-Back TTV parts as thin as 150 µm OPL can be characterized. 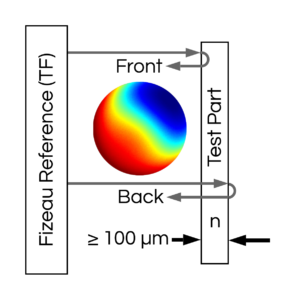 The Direct measurement is accomplished by locating the SCI interference fringes inside the substrate itself. These fringes are called “internal Fizeau” fringes because the fringes are between the front and back surfaces or internal to the substrate. Once the SCI has localized fringes inside the substrate, the interference phase is directly measured and hence the TTV acquired. 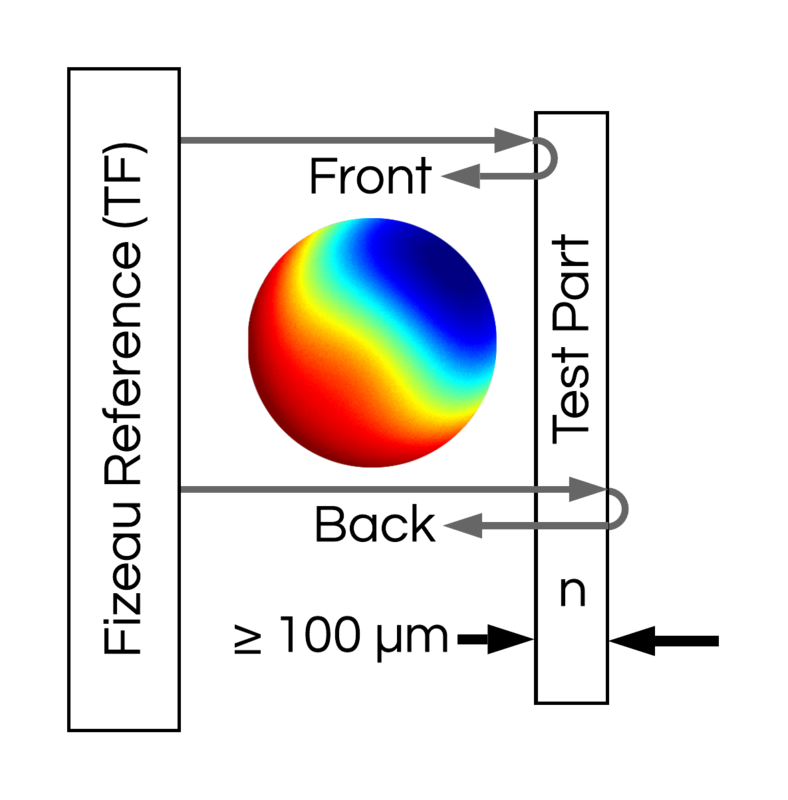 Phase measurement of internal Fizeau fringes is only possible by wavelength modulation (wavelength phase shifting) and SCI phase shifting. 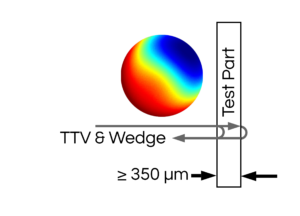 For SCI: OPL of 500 µm are possible with measurement times measured in milliseconds. Measurement of a glass plate has many complications mostly due to interfering back reflections as found in a laser interferometer. SCI solves this problem and expands what can be measured on a substrate in one setup and with no preparation.